I’m glad Hillary declared herself a proud modern progressive in last night’s debate, because it brings people like me one step closer to being able to call myself what I really am: a liberal. Libertarian is, and always has been, a word that should never have existed. Nor do I like calling myself a classical liberal, because no one understands what the hell that means either. The NRA and its friends in the “militia movement” are into the same stock-in-trade: Fear. Their target audience: Those people, generally disenfranchised white males with at most a high-school education and middling to piddling income, who suspect they’re being screwed but either have no clue who’s screwing them — or who know but don’t have the guts to fight the real enemy. The NRA and its allies push fear in general, and fear of non-whites in particular, to these white males, telling them that blacks/liberals/Jews/women/unions/etc. (but never ever ever corrupt corporations or businesses) are the cause of the white guys’ problem (and that the problem is crime, not the hyper-rich bleeding everyone below them) — then promptly sell themselves as the solution. Wow. I read stuff like this and think maybe someone needs to up their medication, or the voltage. First off, most milita types hate the NRA, and the NRA doesn’t pay any attention to them. The rest of that is just lunacy. Seriously. I have a college degree, and probably make enough money that most progressives would think I should pay more in taxes. Some of us have graduate degrees. Many of us are attorneys. My friend Jason, graduate degree in bioengineering, Jewish, and an NRA member, would be quite surprised to find out the NRA is hostile towards Jews. So would my girlfriend, a woman, college educated, and NRA member. 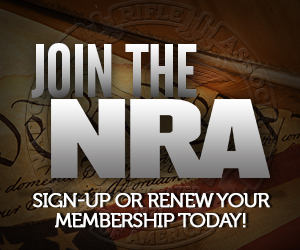 I’ve met more than my fair share of African-American NRA members. Union members? NRA’s bread and butter around these parts, which is why this state elects a lot of pro-gun Democrats. I don’t know if Phoenix Woman is aware of this or not, but what she wrote here is, correct me if you think I’m mistaken here, totally and completely batshit crazy. And this is one of the top blogs in the blogosphere! What’s wrong with you people, seriously? Shouldn’t you guys be paragons of tolerance? Or is that only for activity that you approve of? Oh god, the tin hattery on that site. It’s like DU lite. And these people can vote. I always love the “NRA wants to arm children w/ machine guns” meme. Most people that I know, even the ones that are anti-gun/NRA tend to roll thier eyes at statements like . My wife’s got a BA degree in a foreign language, with a Master’s (MA) from a renowned foreign college, and a minor in Linguistics and Math. I’m the dumb one in the family with just a BSci in Mechanical Engineering, Heat Transfer/Thermogodamics emphasis and 24 years of practical engineering experience. Until she quit the education business (20 years in both government and private schools) we had an income in the (admittedly low) 6-figure range…but with the “progressive” taxation that we see, having only one income seems to work just as well. The house is paid off, and we own no one anything (except for the semi-annual payoff to the dot-gov for our property taxes). Yup, disenfranchised. About the only part of their criteria which fits is the “white male”, and that only for me. I guess that their world-view precludes the possibility of women owning firearms or enjoying any of the shooting sports. And it’s funny in a sort of sad way that she should mention that the NRA tries to “push fear in general, and fear of non-whites in particular “, when gun control in this country has historically been aimed at preventing minorities from possessing firearms. The comments on that post are a hoot. A bunch of whining about BushCo and the Corporate Industrial Complex of which the NRA is a part, don’t you know. There is even a replay of the black helicopters so beloved of the paranoid right in the Clinton years. What I will never understand about these people is that they go on and on about how Bush has shredded the Constitution and that the U.S. has been turned into a dictatorship and then they say that the only people who should have guns are the police and army that work under that oppressive government. Ewwww, F*doglake – you go to the creepiest places! I go wherever Google takes me. It came up on one of my google alerts.